Up and down, ye olde gasoline price merry-go-round is going up, up and away again. The average price of a gallon of self-serve regular gasoline in San Diego County rose two-tenths of a cent Tuesday to $2.824, the seventh consecutive daily increase. The average price is 1.5 cents more than one week ago and 6.1 cents higher than one month ago, but 11.6 cents lower than one year ago, according to figures from the AAA and Oil Price Information Service. The average price dropped for four consecutive days before the current streak of increases. “Southern California gas prices have been in a bit of a holding pattern within a 10-cent range — $2.75-$2.85 — for about the last month,” Marie Montgomery of the Automobile Club of Southern California told City News Service. “There have been some supply problems caused by two power outages at the Torrance refinery, but supplies of the summer blend seem to be adequate to prevent a price increase at the moment,” Montgomery said. On Nov. 1, “gas stations will be able to sell the winter blend of fuel which is cheaper to produce, and that could put some downward pressure on gas prices, along with this being the traditional low-demand time of the year for gasoline,” Montgomery said. Real estate professionals have been more optimistic about Escondido home sales in recent months. Despite its increasing popularity, there are still deals to be had in one of the oldest cities in San Diego County, according to MarketWatch, published by Dow Jones & Co., which tracks the pulse of markets. Buyers should be aware of which neighborhoods best suit their needs and budget, MarketWatch said. The city consists of four main areas, divided by ZIP code: North (92026), West (92029), South (92025) and East (92027). Of those four areas, only Escondido East has a median sales price of less than $500,000 as of July 2016, and according to data from the Greater San Diego Association of Realtors the median sales price was $457,000 this past July, an 11.5 percent year-over-year increase. Because it remains one of the more affordable areas in the popular city, however, both the days on market until sale and the inventory of homes for sale have decreased significantly. This past July, single-family homes in the area averaged just 21 days on market until sale, a 59.6 percent decrease since July 2015. Inventory was also down by 7 percent. Escondido North is the next most affordable area, but its median sales price also has increased, hitting $501,250 this past July. Days on market until sale are tight here, too, at just 29 days this past July. 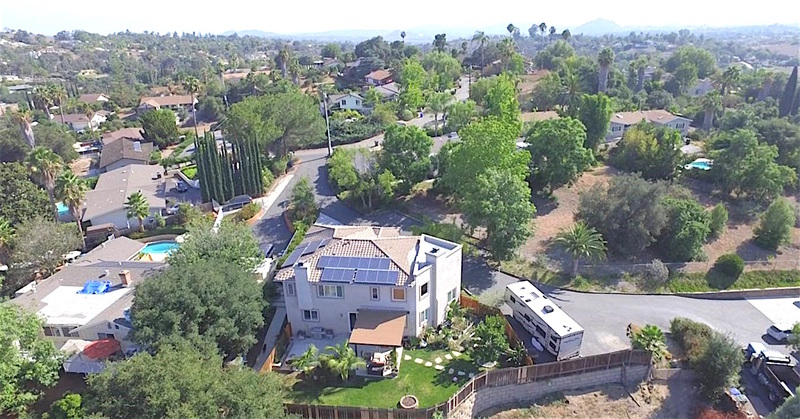 And although all areas of the North Inland city have seen significant year-over-year price growth, Escondido South had the biggest jump at 23.1 percent, and the median sales price was $572,500 in July, after being just $465,000 in July 2015. Escondido West remains the most expensive area of the city, with a median sales price of $760,508 for single-family homes in July, an 8.2 percent increase over the $703,000 seen in July 2015. On the flip side of that, however, is a significant increase in the number of days on market until sale, up to 85 days this past July, an 84.8 percent year-over-year increase. Sure, The Golden Door is known worldwide for its super-luxurious 600-acre Zen architecture spa catering to some of the world’s most renowned and wealthiest people. Golden Door is going to the people, as well, this week opening the Golden Door Farm Stand selling organic produce such as herbs, kale, figs, melons, carrots, citrus, beets, eggplant, pomegranates and more from the resort’s gardens, as well as marmalades and preserves from its artisanal foods line. Be the first to comment on "Gas, housing and the Golden Door Spa"